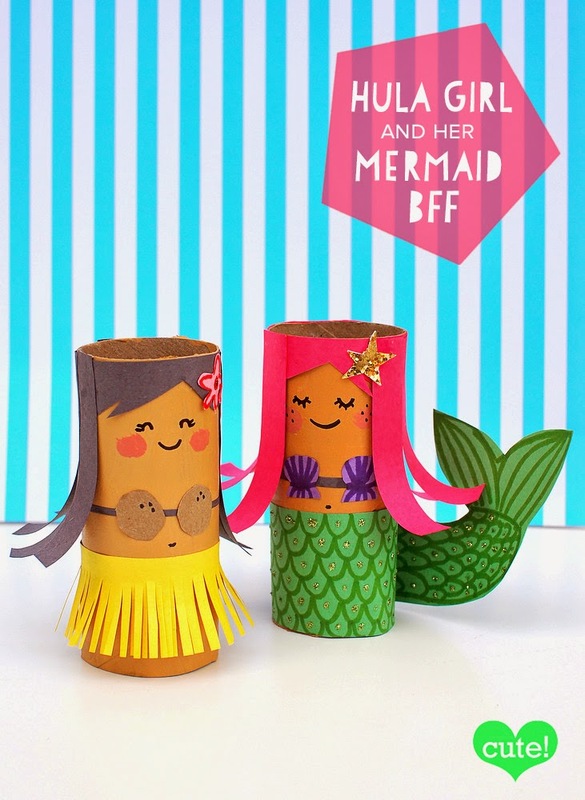 Looking for a super cute mermaid craft to make with the kids? 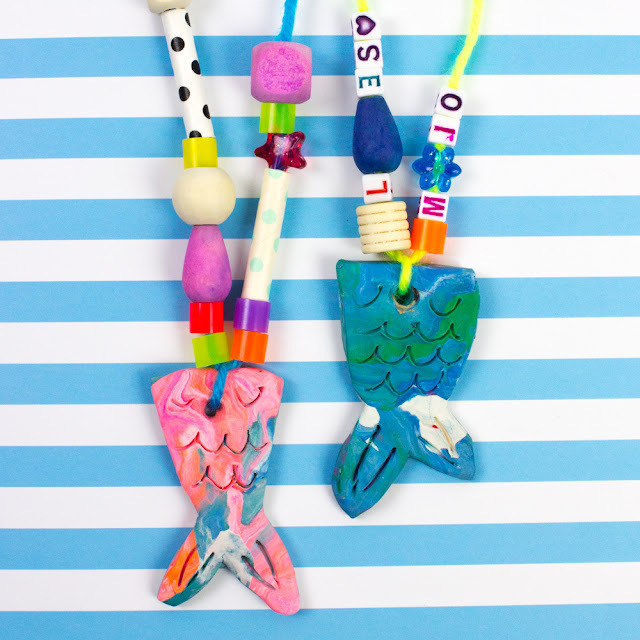 Summer is right around the corner and I've been thinking about new, fun takes on classic kids crafts. 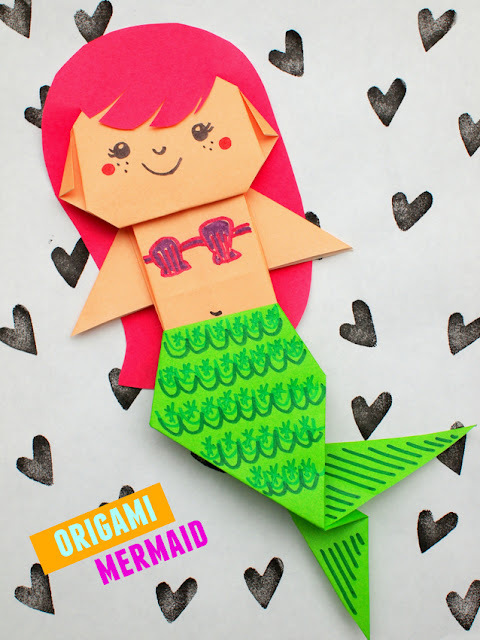 One of the most beloved art and craft ideas is a paper doll chain. We've made several neat paper chain cutouts over the years. Today I'm giving paper chains a magical underwater spin. Tada! If you like cutting out paper dolls, you'll love these super cute mermaid paper chains! 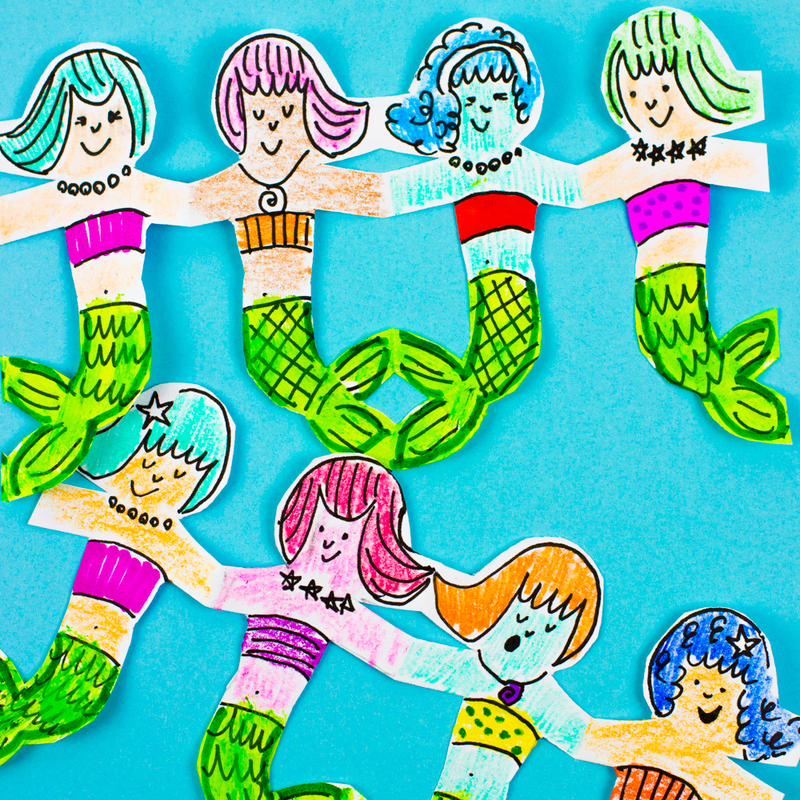 Let's Make Mermaid Paper Chains! We've done dozens of toilet paper roll crafts over here, but this one seriously takes the cake for cutest yet. Tada! You can check out the full tutorial for these two super cute toilet roll crafts over at MollyMoo Crafts!